One percent of church leaders say that churches are doing well in discipling new and young believers. After almost three decades of pastoring New Life Fellowship Church in New York City, Peter Scazzero discovered that most people are not being changed in our churches, and, as a result, are not changing the world. 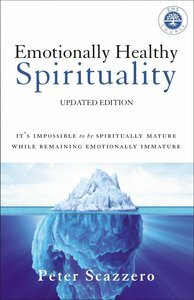 Scazzero found two truths to be true: (1) you can't be spiritually mature while remaining emotionally immature, and (2) unless you slow your life down for a first-hand relationship with Jesus Christ, little change is possible. The integration of these two truths unleashed a spiritual revolution in Scazzero, in his church, and now in thousands of other churches.